and “Downton Abbey” till 2013. It will be a wonderful novel to look forward to in 2013! 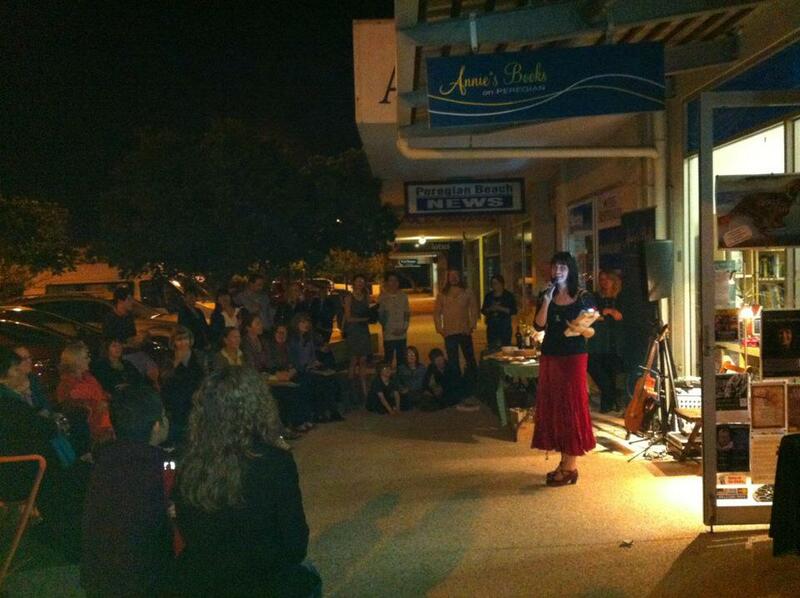 What a fabulous night and location for a reading – spilling out onto the footpath indeed. Lighthouse Bay is in my beside stack… I’ll get to it very soon. i love the story of wildflower hill, actually i finished reading for 12hrs, i didnt stop, i eat on my bed while im reading,because im so excited i cannot wait to finish. usually i’ve finish reading 2 or 3 days but this one was different after i’ve finished reading i was a little disappointed though. the ending, emma give lucy a letter, i said thats all oh no!!. is there any sequel? thanks for your comment. that’s all there is, but i presume it was all happily ever after. I’m so pleased you liked it, claire.